Preprogrammed AVR chips for your favorite projects. These chips are flashed on demand in Sunnyvale and normally ship in 2-3 business days. 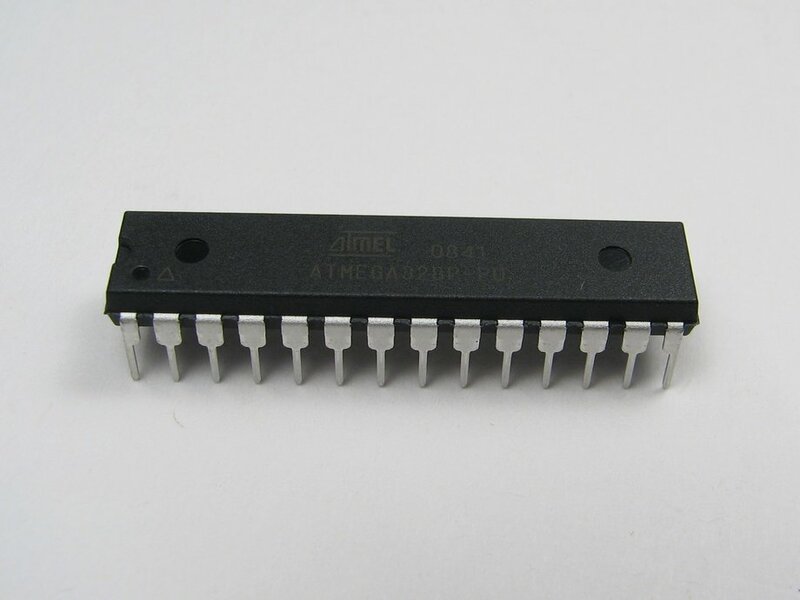 Chips are types ATtiny85-20PU, ATtiny2313A-PU or ATtiny4313-PU, ATmega164P-20PU, ATmega328P-PU, and ATmega644A-PU. All come in standard DIP (through-hole) form factor: all are 0.3" wide except the ATmega164P and ATmega644A, which are 0.6". See note below(*) if you need chips for an Arduino Uno. Want one that's not listed here? Contact us and we'll see if we can help. *Note on Arduino firmware: When we say "Arduino firmware," we are referring to the "original" Arduino bootloader, as used on the Arduino Duemilanove, Arduino Diecimila, prior Arduino versions, and most other Arduino-compatible systems, including Diavolino, Peggy 2, Meggy Jr RGB, and Bulbdial Clock kits, all of which used FTDI-based USB interfaces. Note however, that the Arduino firmware is not compatible with the Arduino Uno, which requires a new bootloader. If you need to swap your chips into an Arduino Uno for programming, please select the Uno-compatible bootloader chips above.